Blaise was so nervous, he had never asked a girl to his place. Especially not a girl from the Weasley family. &apos; What if her brothers kills me as soon as I set my foot in the Burrow?&apos; Blaise thought every third minute. It was starting to ger closer to 7 om, and I couldn&apos;t back off now. Not when he had asked her to come with him. He quickly disapparated to the Burrow and knocked on their door. George opened the door and just stared at the dark wizard. " Hello, I&apos;m Blaise Zabini, is your sister.....?" " She&apos;s in her room Zabini" George said. " Oh...okay, I&apos;ll wait here"
" No no, don&apos;t bother. You can come in. Just....don&apos;t go into her room. And I will find out if you do, so don&apos;t even try"
Blaise nodded and sat down in their couch in the living room. He looked around and saw some pictures of the family. A big Christmas tree was in one of the corners of the room.
" Blaise..!" He turned his head to the left and saw Ginny in her dress. It was grey with a black pattern. Her white flower was perfect for her red hair, and the best of all, Blaise couldn&apos;t stop looking at her.
" Pinch me slowly, I think the girl of my dreams is right in front of me" He sounded so honest and startled.
" One of your pick-up lines?" Ginny said and crossed her arms over her chest. " No, actually not. Comes right from the heart, ms Weasley"
" What comes from the heart?" They heard George say and interrupted their moment. They said goodbye to the Weasley family and disapparated to Blaise&apos;s house. 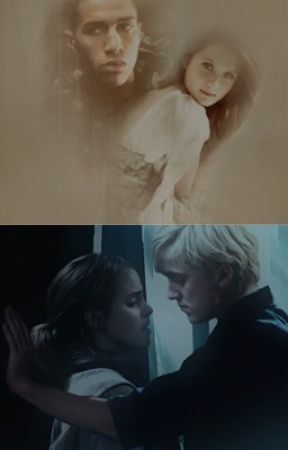 Blaise still held Ginny&apos;s hand and felt her shaking.
" Are you nervous or something?" Blaise wondered.
" Yeah, a little. I mean, I&apos;ve never met your family. What if they don&apos;t like me?" He tighted his grip of her hand.
" They will love you"